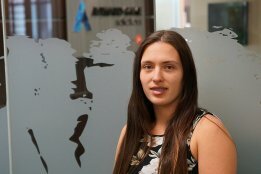 Entering the legal industry in 2016 as a settlement clerk on the Gold coast, Shonae typically manages multiple property settlements each day as well as preparing documents for the days’ work, as well as collecting bank cheques and making pick up and drop offs all over South East Queensland region. She also handles preparation and lodgments at the Magistrates Court and/or the Department of Natural Resources, plus handles all general administration work over the course of a workday at Aylward Game Solicitors. Shonae was inspired by fellow Solicitors to pursue a career in law and commenced a Bachelor of Laws in 2017 at CQUniversity as an external student. This allows the freedom to have hands-on experience in the industry while studying in her chosen field. Since starting the degree, working at Aylward Game Solicitors provides the opportunity to step into her chosen career as a Legal Secretary and provides the real-world experience needed to prepare for once admitted as a Solicitor. When not at work you will find Shonae at either the gym or hanging from the roof doing Circus Arts (silks, Lyra and Trapeze). Any other spare time she finds when not studying is reserved for playing with her dog or spending time with family and friends. To become an all-rounder in the legal industry. Another goal is to become a JP and C.Dec and for now, she takes each day as it comes growing and learning the skills and techniques to be a great lawyer under the knowledgeable Partners working alongside her at Aylward Game Solicitors. Her motto is to truly believe you can do anything if you put your mind to it.